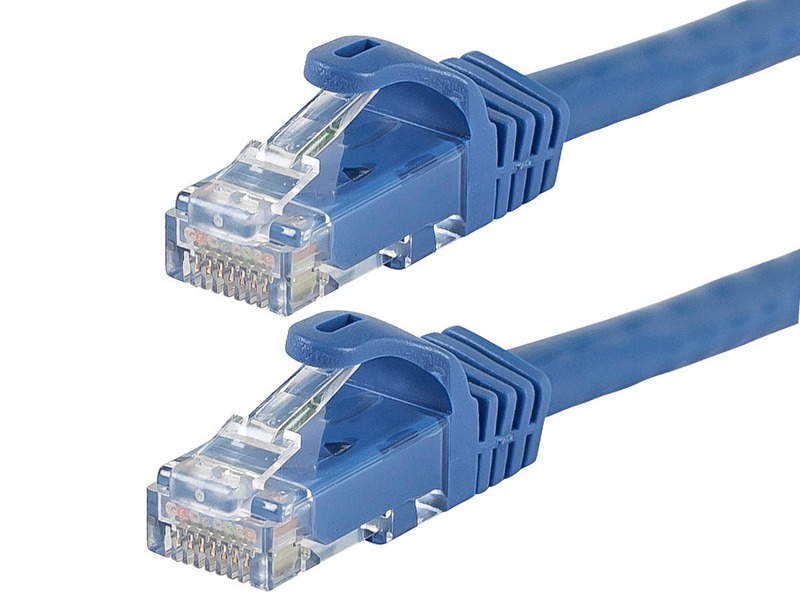 I bought the FLEXboot Series Cat6 24AWG UTP Ethernet Network Patch Cable. I ran through the wall and want to hook up to a Cat6 Punch Down Keystone Jack. 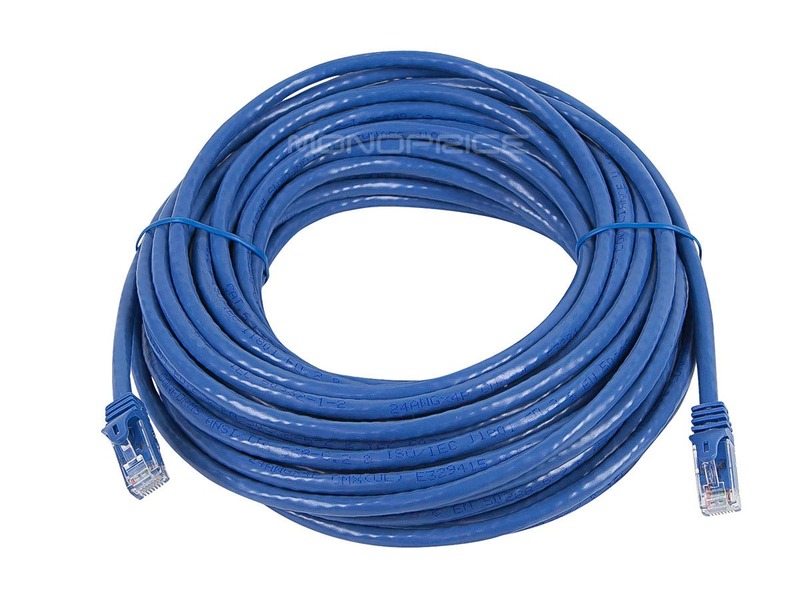 would i cut it just like cutting strip it and use a punch down tool the same as when using a spool of ethernet? BEST ANSWER: Yes/ however you may want to invest in a 1000' spool of solid copper twisted non stranded for ease of installation. I would not cut these very nice molded ends off. I leave ablot 4-7' hanging out the hole in the face plate and do not cuts the ends. There is no difference in the cable than what's on a spool, just factory terminated instead of on a spool. Patch away. can I use this cable to connect my cable router to SUHD TV? BEST ANSWER: If the TV has an RJ-45 Ethernet port on it this cable will definately do the trick. Ethernet cables will work well in even longer lengths. I believe 330 feet is the theoretical limit without some sort of powered extender. Excellent price and color selection. Highly recommend. So far so good with these cables, no complaints. Arrived as described, work as expected. Cables came in very promp from Monoprice. Had ordered 8-100' cables and 1-50' cable. Ran all cables down walls and out to each electronic piece. All cables worked perfectly. Would buy more of these cables in the future if needed. Very satisfied with purchase. long ethernet cable solves a big gaming problem. The high latency of a crowded wifi network coupled with Sony's poorly written network stack on the PS4 meant that playing PVP games online meant only one thing LAG. having a wired connection is vitally important when gaming and coupling this with a gigabit switch solved all of my network lag issues. Product was as described and functioned as expected. Fast shipping as always. Cable was just what I expected. Excellent product. I Recieved the cables in timely fashion. They worked fine. I used them to connect my Reciever and Blue ray player to the internet. The Tos-link cables were for the audio. It was small order for my personal use. The cost was less then I would have paid thru Amazon Prime. I recommend Monoprice. I have purchased several products from Monoprice and have never been disappointed with the purchases which include items for personal use as well as items for my company. Pricing is excellent. PROS: Network cable was as advertised, delivered as advertised, and works perfectly.